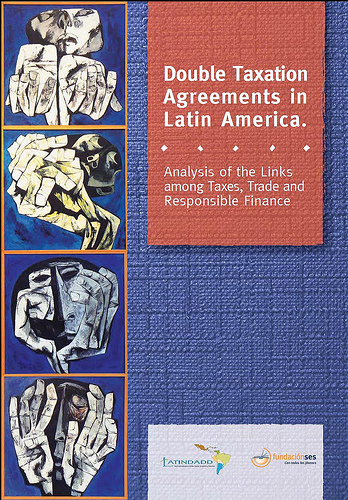 In general terms, the purpose of this study published by LATINDADD is to analyze the impact of DTAs (Double Taxation Agreements)on the government financing system and the tax structure in Latin America,and to open the dialogue to establish more progressive and fairer tax systems in the region. a. Understanding the content of the policies within the DTAs signed by some Latin American countries, such as Argentina, Colombia, Ecuador,Nicaragua , Uruguay and Venezuela. b. Gaining insight into the connections between DTAs, and trade agreementsand foreign investment protection treaties. c. Analyzing the potential benefits and the main disadvantages of DTAs for developing countries, particularly in Latin America. d. Studying how policies in developed countries might ensure a better distribution of the taxes involved in DTAs for developing countries. e. Making public policy recommendations from the perspective and in the interest of periphery countries, in order to help improve the tax base of developing countries. terminated by the Argentine government. policy and how FDI was boosted in his country. Finally, he analyzes signed DTAs, their advantages, the obstacles they pose for development, and their impact on tax administration. The Ecuadorian case is examined by Evelyn Cevallos Pulley and Fausto García Balda (Jubileo 2000 Red Guayaquil, Ecuador) under the coordination of Juan Carlos Campuzano. This piece of research takes the various principles applied by DTAs as a starting point and then goes on to describe the fi scal structure of Ecuador and provides a detailed review of signed DTAs. As in the other case studies, it examines a relevant DTA and ends with some public policy recommendations and guidance. The research led by Adolfo Acevedo Vogl and Brenda Marvelli Alfaro Ortiz (Coordinadora Civil de Nicaragua, Nicaragua) introduces a new dimension of the topic. Nicaragua has not signed any DTAs with any country in the world.This fact leads to the analysis of whether or not it is convenient for the country to join the DTA network, with conclusions being revealed throughout the research. After examining the role of DTAs in economic and legal relations at a global scale, the authors analyze the changes to the Nicaraguan taxation system aimed at creating a more progressive fiscal system. This chapter shows different approaches to the same issue. On the one hand,it provides a historical account of DTAs and the list of countries with which such agreements remain eff ective. On the other hand, it specifi es the various methods used to enforce the agreements. Finally, it examines the controversial agreement with the USA and off ers a set of important recommendations. The chapter on Uruguay completes this important set of proposals and questions put forward by civil society. a section is included on the liberal treatment of capital and investment. Also, the Uruguayan tax system is examined along with the DTAs signed by Uruguay, and a set of public policy recommendations is provided.